Heat shield for protection from infrared rays and high temperatures. 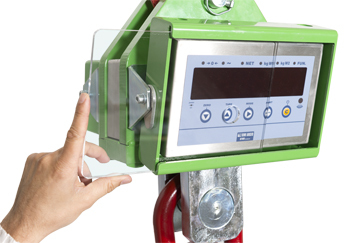 High capacity crane scales for industrial weighing, reliable and easy to use, suitable both for commercial warehouses and for more harsh environments. 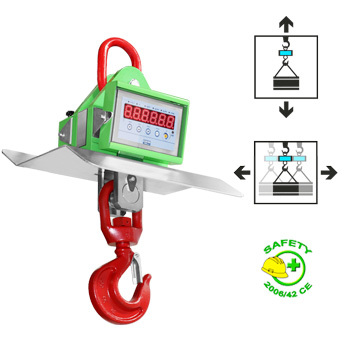 Thanks to the double security system, they allow lifting, weighing and moving the suspended load and they can be installed permanently on the lifting system. They are extremely compact in height and they take up little space. Configuration for optional upper connection ring and lower hook. 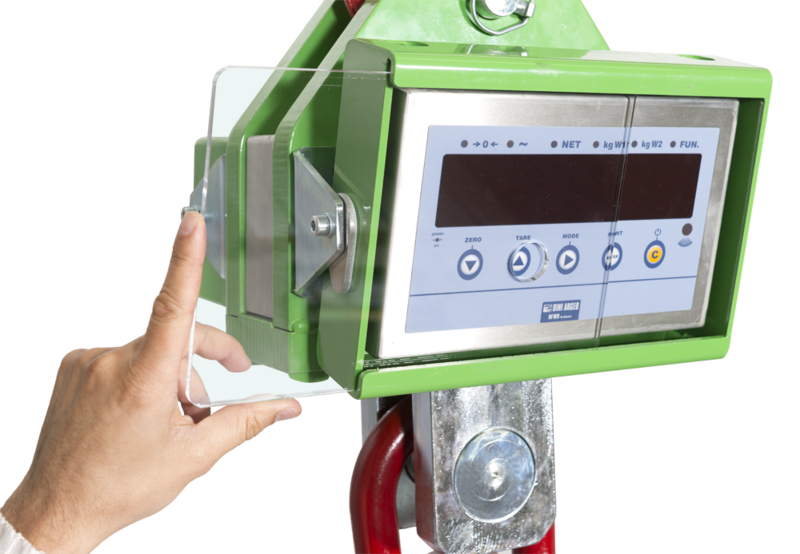 The models with a capacity up to 15000 kg are supplied with a test certificate obtained with standard weights, while for higher capacities the certificate is available on request. They are available both for internal factory use and CE-M APPROVED. 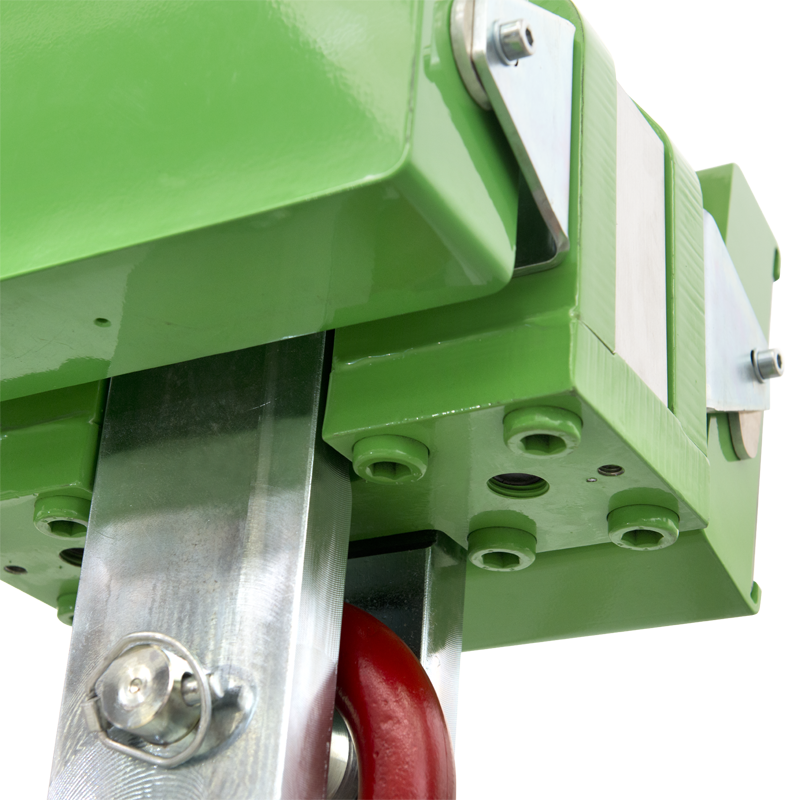 Double security system, for permanent installation in the lifting system; recommended for lifting and moving the suspended load. Weigh: 86 kg, with packaging 103 kg. Radiofrequency 6-key remote control, 433MHz, for use up to 50 m of distance. Configurable as automatic tare only or as a remote keypad. 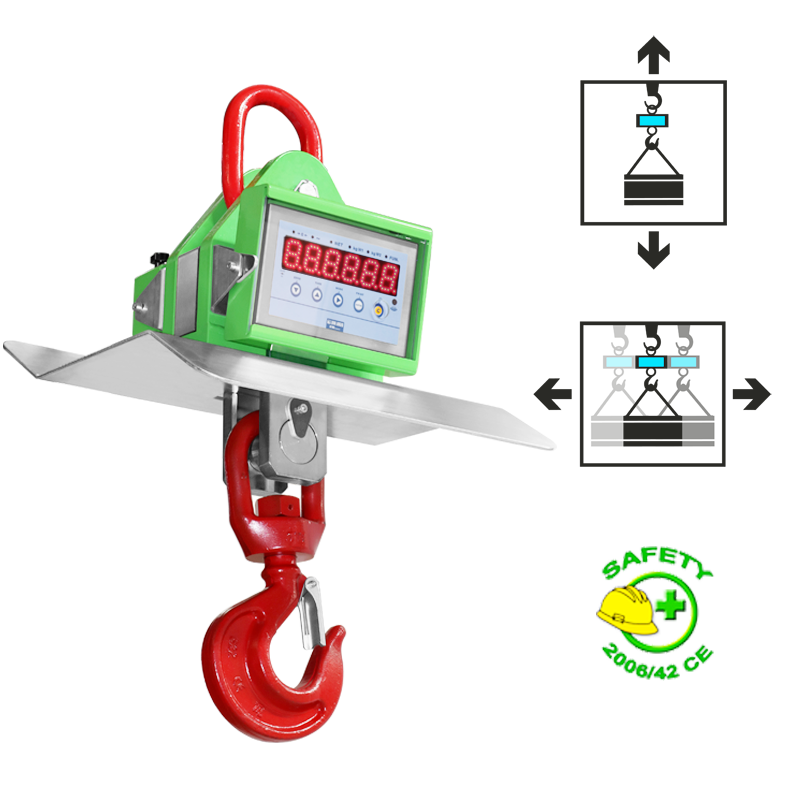 Fitted with extractable rechargeable battery pack, with 60-hour operating time, designed to be combined with MCWHBK option for 24/7 continuous use of the crane scale. Standard fitted with battery charger. Operating temperature: -10 /+80ºC, with optional heat shield (-10/+40ºC for the CE-M approved model). CT8 ISO 17025 calibration certificate from 3001 to 6000 kg. For crane scales. CT9 ISO 17025 calibration certificate from 6001 to 25000 kg. For crane scales. CT10 ISO 17025 calibration certificate from 25001 to 35000 kg. For crane scales. 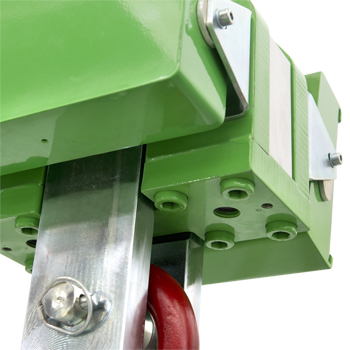 MCWHBK-1 Additional extractable battery for 24/7 use of the crane scale. MCWHSH-1 Thermal shield for protection from high temperatures (Max 80°C). 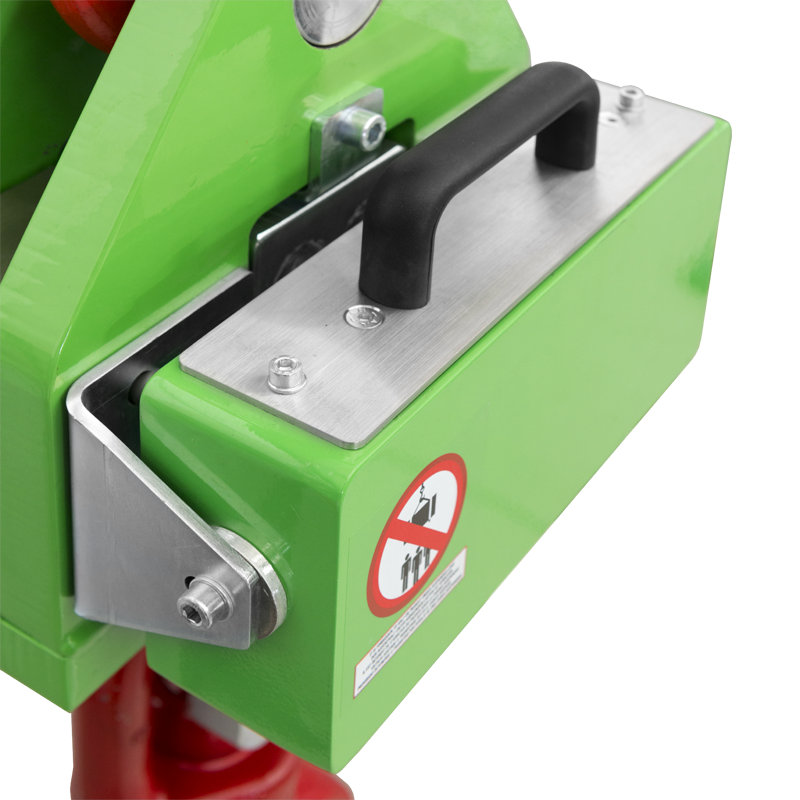 The thermal shield prevents the heat beneath the shield, in the form of infrared rays, to quickly increase the crane scale temperature. With the thermal shield it is possible to quickly pass over heat sources having a strong infrared ray emission. The amount of time which it can be above these sources depends on the type of source energy and the distance of the crane scale from it. 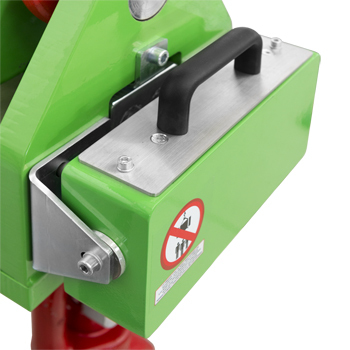 GG11 Swivelling bottom hook with safety lock 11 t.
GG15 Swivelling bottom hook with safety lock 15 t.
GG22 Swivelling bottom hook with safety lock 22 t.
GG30 Swivelling bottom hook with safety lock 30 t.
GOA11 Fixed hook, MAX 11 t, with safety lock. 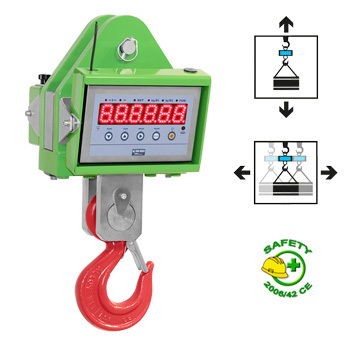 GOA16 Fixed hook, MAX 16 t, with safety lock. 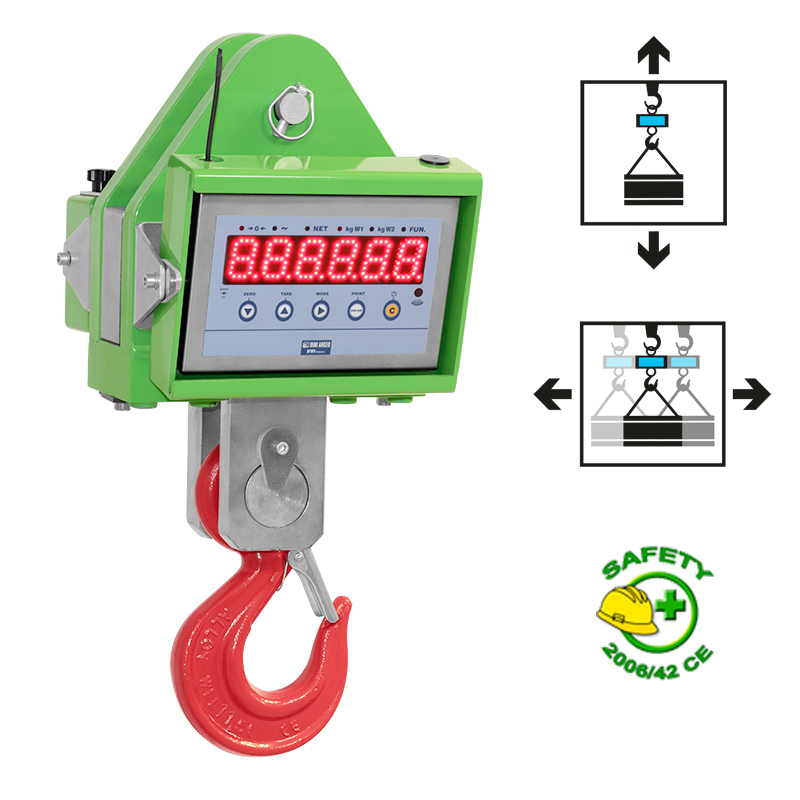 GOA22 Max 22t eye hook, with security lock system. Coupling with GR9 and GR12 in MCW09 and MCWN. GOA30 Max 30t eye hook, with security lock system. Coupling with GR9 and GR12 (with GR6 and GR17 upon request) in MCW09 and MCWN. CA15 Connection ring 15 t.
CA30 Connection ring 30 t.
CA40 Connection ring 40 t.